GROWTH RESPONSE OF NILE TILAPIA FRY (OREOCHROMIS NILOTICUS) FED DIETS CONTAINING DIFFERENT LEVELS OF PROTEIN. 1Department of Poultry production, Faculty of Agriculture, University of Minufiya, Shebin El-Kom, Egypt. 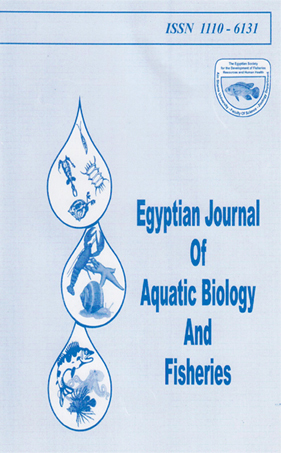 Four hundred and fifty of Nile tilapia fry (Oreochromis niloticus) with 0.9  0.1 g initial average body weight were used in a feeding trial to study the effect of different protein levels on growth performance and feed efficiency of the fish. Five isocaloric diets were formulated to contain 28, 30, 32, 34 and 36 % protein and P/E ratio ranged from 81 to 98 mg protein / Kcal digestible energy. Fish were fed the experimental diets at a rate of 5 % of the body weight daily in glass aquaria containing 80 liters in each for a period of 12 weeks. The results indicated that body weight gain and feed conversion ratio (FCR) were improved as dietary protein level increased. Protein efficiency ratio (PER) increased with increasing protein level in the diet. P/E ratio was correlated positively with weight gain, feed consumption and specific growth rate (SGR) (r = 0.98, 0.99 and 0.96, respectively) and negatively with feed conversion ratio (FCR), r = - 0.89. Positive relationship between body weight gain and feed consumption was also obtained (r = 0.99). The results showed that there were no significant differences (P  0.05) among groups of fish fed diets C, D, and E. It can be suggested that the optimum protein level required for high growth rate and best feed utilization reaches be 32 % at P/E ratio of 91 mg protein /Kcal digestible energy.